oomph. : end of summer coach crossbody GIVEAWAY. end of summer coach crossbody GIVEAWAY. 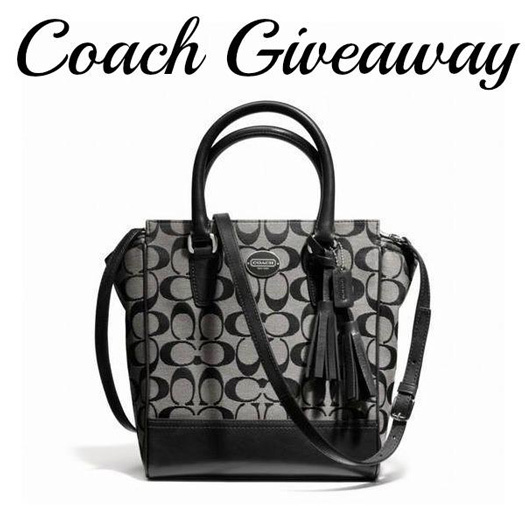 i started the summer off with a coach giveaway, so what better way to end the summer than with another coach giveaway. this time, one lucky reader will win a Coach Legacy Mini Tanner Crossbody in Signature Fabric ($228 ARV). ends 9/23, open to US only. Oh my gosh what a giveaway! entering! I could use some new earrings. I just love this giveaway and hope I am the winner! I am always in need of another bag! I am having a makeup giveaway on my site right now, would love if you stopped by and entered. I would love a fab new pair of sunglasses! This is a very classy bag, and I would love to win it! A cute pair of sunnies! I'd love a pink quilted Chanel bag, although I know that would take a lot of saving. I've been wanting to get a new hat. I also would like some new shoes. I would love a new pair of black dress shoes. I entered under Jennette. At the moment I really need new sunglasses as my older one broke..and would be a good item to have!! Serious enthusiast of your web site, numerous your blog content have got definitely made it easier for everyone available. Looking towards messages! A Coach wallet to go with this bag. Wow this is a great giveaway. A new fall coat to go with this bag would look great. I've never entered a bag giveaway before, usually nail polish giveaways haha. Thank you!!! I would also like a Tory Burch bag! I am looking for some cute fall scarfs. My wishlist is being led by a pair of brown scrunch boots. I have a black pair but need brown ones too. Thanks for a great giveaway. Love Coach bags!!! Love this giveaway! Definitely entering. Besides Coach bags I love scarves. Thanks for a great giveaway! I found your site because I was looking for more pictures of the Gallerista bag from JustFab. Your pictures sold it for me. How awesome would it be if I also won a coach bag and found a fantastic new blog! Wonderful giveaway. The other accessory I most want is a pair of tan Frye boots to wear this fall. I would love a new pair of cowboy boots. Besides a Coach Bag I would also love a Coach Wallet! I LOVE their gloves too! Michael Kors bag for my school stuff! Dolce Light Blue and Victoria Secret!!! aztec shorts + stud earrings. east vs west [coast] style. leather. $100 Nordstrom Gift Card GIVEAWAY. east vs west [coast] style. leopard. beauty tips. how to combat allergy face. $100 Sephora Gift Card GIVEAWAY. patty's closet. the floral blouse. $100 Victoria's Secret Gift Card GIVEAWAY. ShopStyle product reviews. rate and WIN. patty's closet. the silk pant.